Team Troon had a singular representative in play on the weekend…and ooh my, did he play well. Matthew Fitzpatrick posted rounds of 70,70,67 & 71 to come in second at the Arnold Palmer Invitational. This week’s event (and Team Troon 2nd place finish) was reminiscent of Gary Woodland’s 2nd at Kapalua for the Sentry Tournament of Champions. In that case, Gary played well all week, held the 54 hole lead, and he came up just short of getting the victory as Xander had to post a course record tying 63 in the final round to edge Gary. This week it was Matthew with the lead after 54 holes. However an impressive final round 64 (including monstrous 44 footer for birdie on the last hole) pushed Francesco Molinari ahead of Matthew. Nonetheless, congrats to Matthew on a solid event. We look forward to him being at the top of the leaderboard many more times in 2019! Matthew Fitzpatrick: Finished in 2nd place to finish -10 for the tournament. The move of The Players to this month creates added intrigue to the March Florida swing of the PGA Tour. Team Troon will be well represented in what is regarded as the “5th Major”. 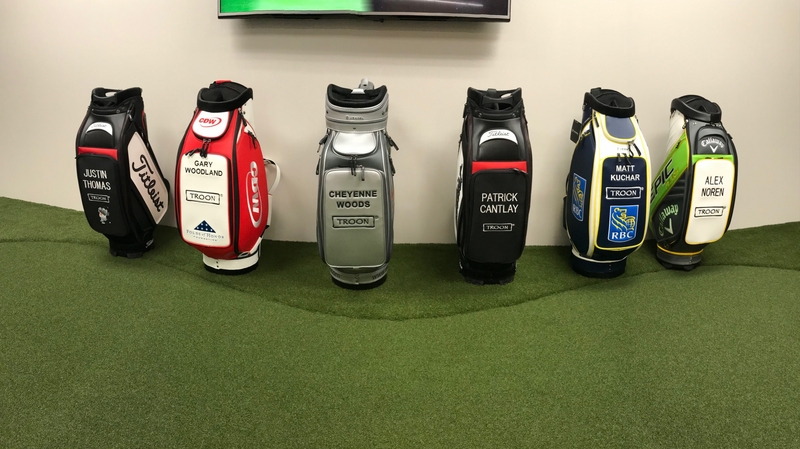 ALL SIX Team Troon PGA TOUR ambassadors will be in the field this week! 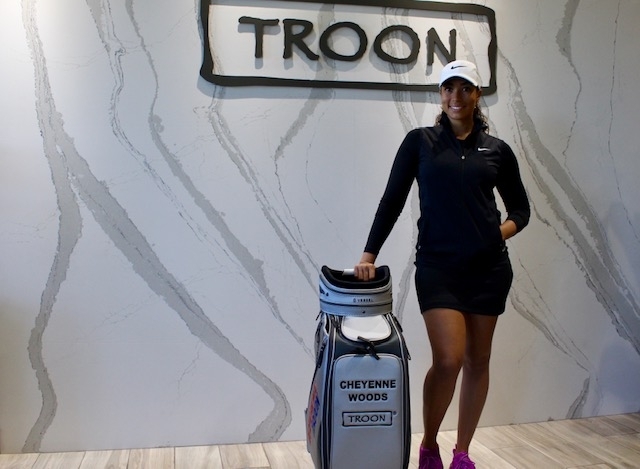 Also seen/heard: Cheyenne Woods will be in the Jacksonville area for scheduled appearances/”going-on’s” in and around The Players. While in the area, she is going to get in some practice time at World Golf Village while she is in the region. So be on the lookout for some social mentions/engagement from her while she is getting a chance to #ExperienceTroon at World Golf Village. 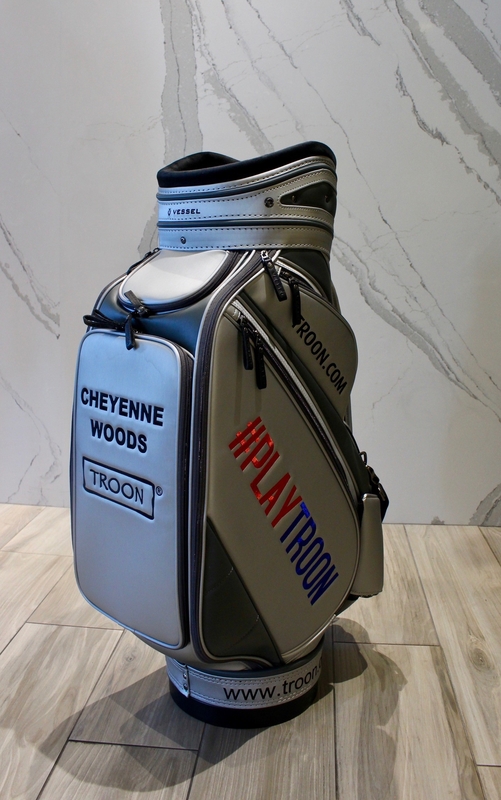 Speaking of Cheyenne, her ALL TROON bag arrived this AM…and it looks SLICK! 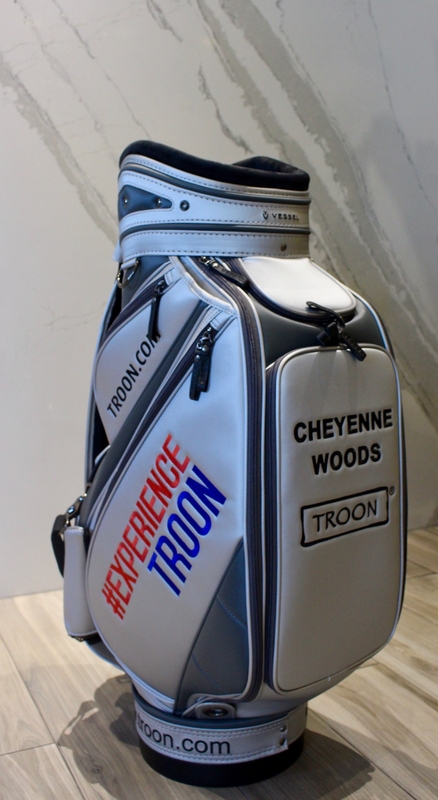 In includes the Troon Logo, Troon.com, #ExperienceTroon and #PlayTroon hashtags. We even put a logo / URL on the bottom of the bag so if her caddie lays down the bag, our Logo/URL is showing to fans. Matthew Fitzpatrick’s will be similar to this bag (but in black - at his request) and as Dana alluded to, he will have his this week for The Players.